That this disc from Dutton Epoch contains three first recordings is quite surprising when the composer of the works is Sir Arthur Sullivan. But John Andrews and the BBC Concert Orchestra give first recording of the incidental music to Shakespeare's Macbeth, the first complete recording of the incidental music to Shakespeare's The Tempest, and the first complete recording of the Marmion Overture. The orchestra is joined by the BBC Singers, sopranos Mary Bevan and Fflur Wyn, and the actor Simon Callow reads selections from the plays between the movements. I have always been fascinated by Sir Henry Irving's Shakespeare productions. Lavish in scale and luxurious of setting, they are a far cry from modern attitudes to stage production. Sullivan's music for Macbeth was written for Irving's production of the play in 1888. 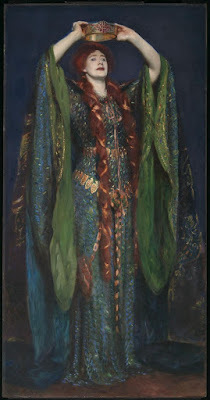 It featured Irving as Macbeth and Ellen Terry as Lady Macbeth. The play was cut and re-arranged, but there was a chorus of 60 and an orchestra of 46 players. 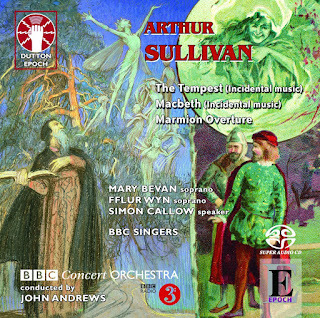 Sullivan's orchestral suite is known but this is the first time that the complete incidental music has appeared on disc. There are some 13 numbers, performed here with selections of the play spoken by Simon Callow. What is immediately obvious, looking at the contents of the disc, is that much of the play is missing. Sullivan wrote hardly any music for Lady Macbeth and virtually nothing for the second half of the play. The climax of the incidental music is the Act Four scene between Macbeth and the witches. We know that some music has been lost, chorus and melodramas probably written during rehearsals and never copied into the autograph score; the fire at the Lyceum Theatre in 1898 destroyed much. But what we have is a finely atmospheric sequence, music by Sullivan at his peak. The play came between The Yeomen of the Guard and The Gondoliers, and represented Sullivan's biggest stage success without Gilbert. The witches are given much music and the rest is highly atmospheric scene painting. This receives a lovely performance from John Andrews and the BBC Concert Orchestra with Andrews bringing out the fine-grained Mendelssohnian cast of Sullivan's music. They shape each of the movements into a beautiful miniature. The prelude to Act Two, with its two harps, is just one example. The music for the witches is brilliantly atmospheric, though perhaps politer than we might expect. You have to put out of mind later styles of theatrical representation, Sullivan was completely attuned to Irving's requirements. Regarding Simon Callow's spoken passages I am more conflicted. He gives us Macbeth with a Scottish accent, and three cackling witches. At first I found the presentation too stagey (veering alarmingly towards ham). But then I wondered what Irving would have been like, and remembered the recordings of Donald Wolfit, an actor/manager of a later generation. Wolfit was a theatrical ham to his finger-tips. Of course it is possible to hear what Irving himself was like (see the recordings on the Irving Society website), So now I am less sure about my reaction, and certainly Simon Callow brings a clear sense of vocal characterisation and I have to admit that part of me regrets that he did not get to do the sleepwalking scene. The first disc concludes with Sullivan's overture Marmion which was written in 1867 when he was 25. It is based on the poem Marmion by Sir Walter Scott, but the overture failed to take and performances were few. Sullivan cut it significantly to use as the overture to Irving's production of King Arthur. This is the work's first recording uncut, and with its romantic overtones of Weber and Mendelssohn this atmospheric piece deserves to be better known. Sullivan's music for The Tempest is a student work, written when he was studying in Leipzig. In its fullest form the music was performed in London at Crystal Palace in 1862 with a specially written narration. 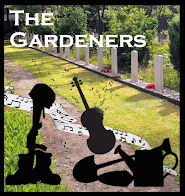 Written without specific theatrical purpose, the music covers more of the play than that for Macbeth, and we get a full sequence of Ariel's songs plus the duet for Juno and Ceres. 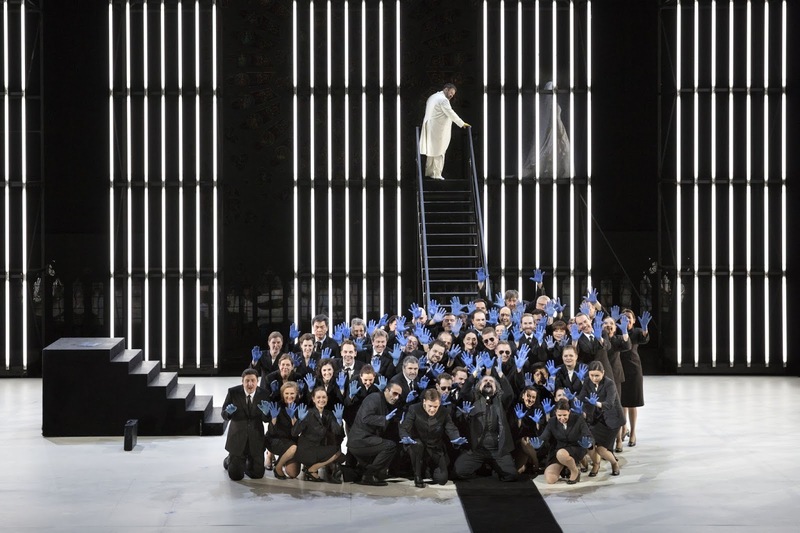 The music is perhaps more familiar as Sullivan's suite is occasionally played, and it has the same melodic facility as Macbeth, plus a youthful ease and charm. 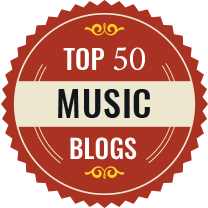 This is certainly music to beguile. Mary Bevan charms in Ariel's songs, and both Bevan and Fflur Wyn beguile in the duet. Simon Callow manages to cover Prospero, Ferdinand, Ariel as a harpy and Caliban, no mean feat, in the same same highly theatrical manner as his performance in Macbeth. I rather enjoyed it and found listening to this musical potted Tempest rather appealing. With both the plays you wonder what a production would be like which used the music. Stately is the first thought which comes to mind, as even the short movements are built on a generous scale. But it would be lovely to find out.